How has your week been? We have less than three weeks until we leave for Italy and I’m slowly starting to get more excited about it. Does anyone else not think about things until right before they happen? I’m the worst with that. This weekend is another slow one and I love it. You can probably find me eating all of the foods you’re about to see in this week’s post. Let me know some of your favorites in the comments! 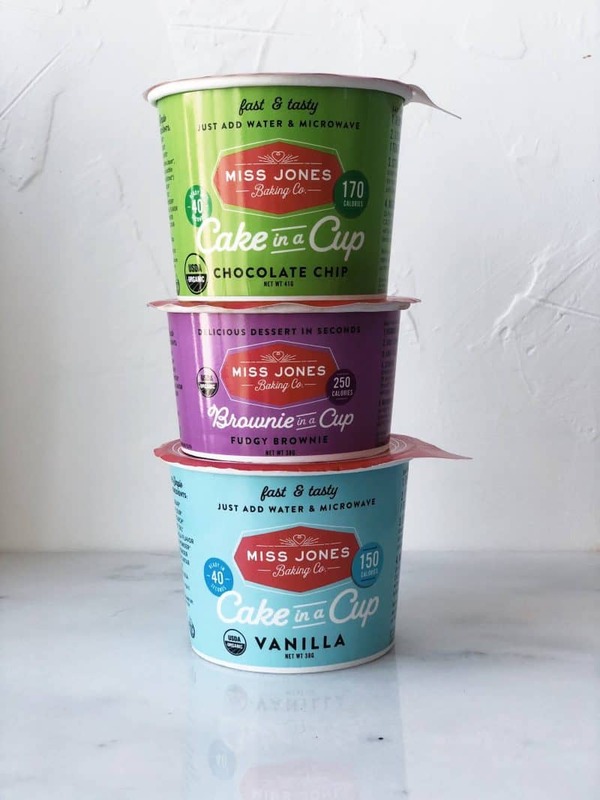 I like Miss Jones Baking Co., but I LOVE that they recently came out with these desserts in a cup. Guys, I’m so lazy with my food preparations that anything that requires me to add water and microwave is amazing to me. I only have these three, but they make several other varieties as well. Seriously, give me anything single serve in a cup and it’s going on this list. I shared in this post about how I’ve been getting some facial treatments over the past couple months. One of the products they suggested was this sunscreen because it’s important to wear it at all times even though I hate it and want all the sun on me. WHY DOES IT HAVE TO BE BAD?? 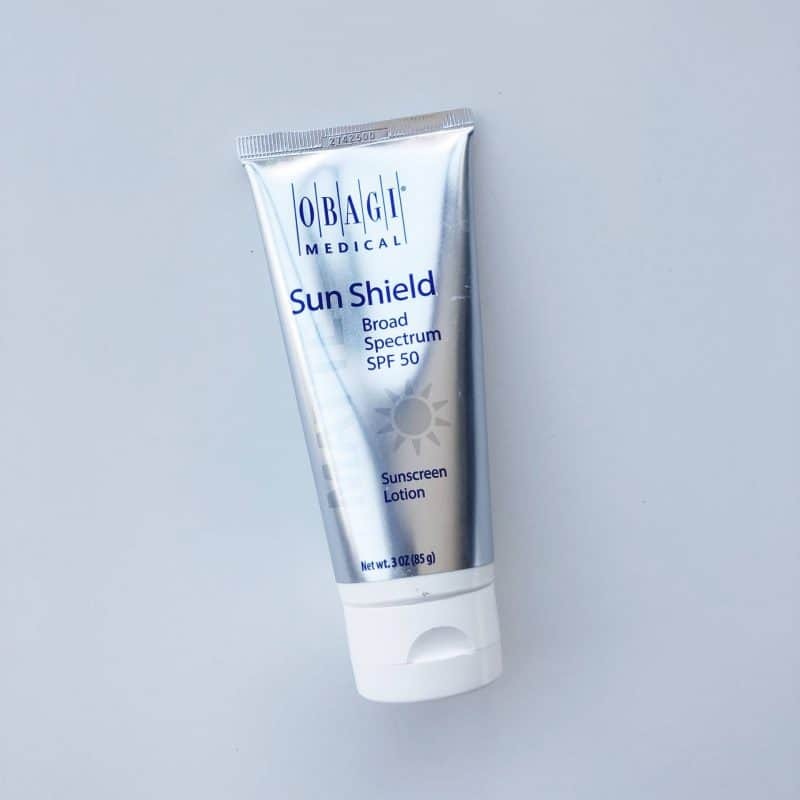 Anyway, what I like about this sunscreen is that it is matte, so rather than my face looking like a shiny mess, I use it as my moisturizer when I go out and it leaves a nice matte finish that I don’t get with other facial products. Game changer. Now that I’m married into an Indian family, I’m pretty picky about my naan. Basically I’m half Indian. 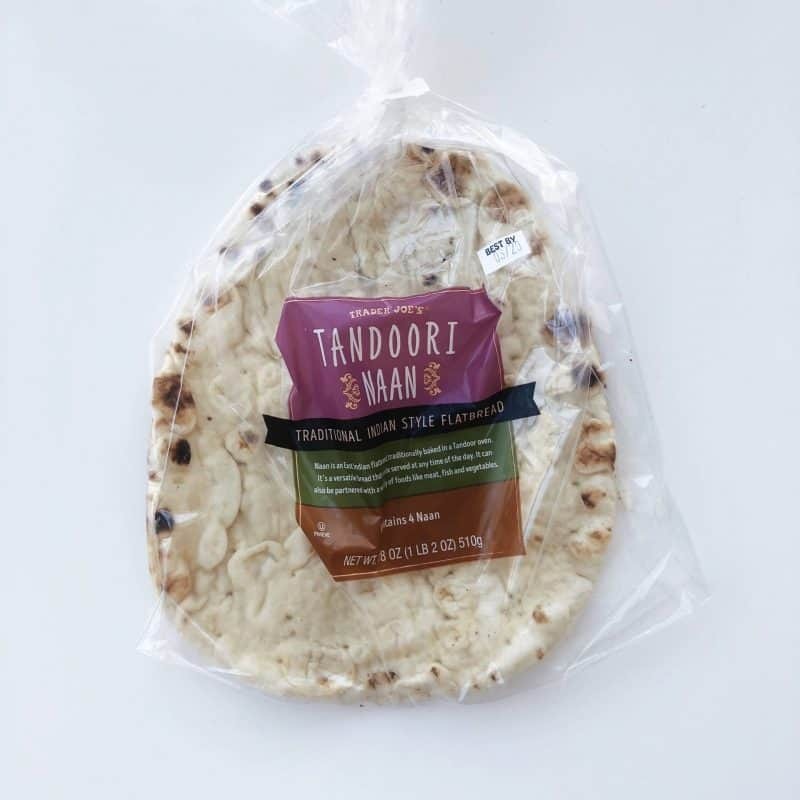 Their frozen naan is actually the same brand sold in Asian stores (and Indian approved), just repackaged by TJ’s. So I know that one is good. I didn’t realize that they had this type on the shelf until Neil grabbed some for our lunch the other day. I’ve had it two ways — heated up in a pan with a little butter on it and put in the toaster oven for a short time to soften and crisp it up a little. Both ways were delicious and the naan was soft and pliable. Basically, it rocks. Get on it. 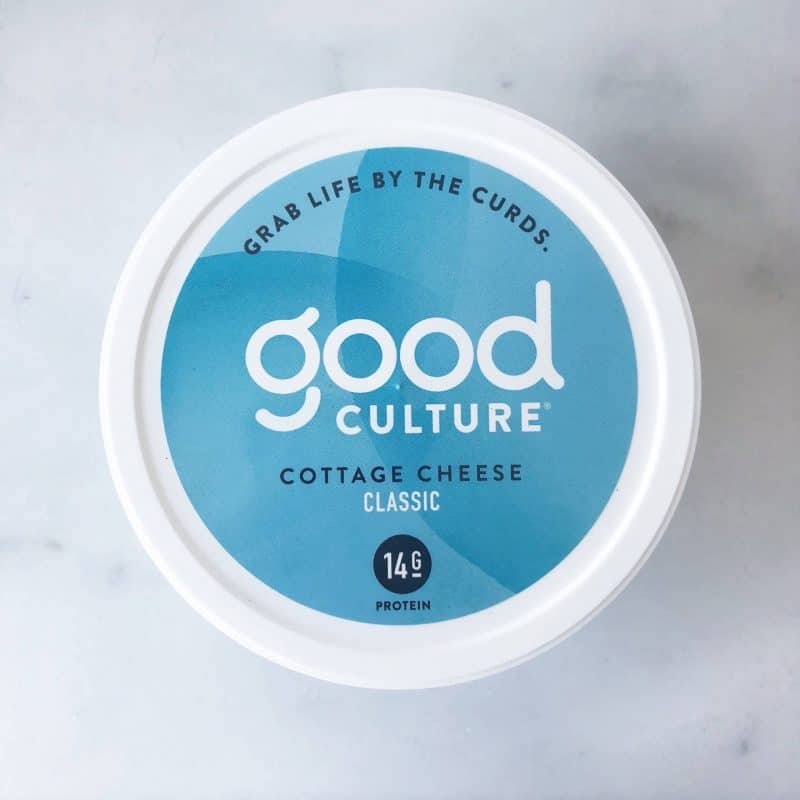 good culture delivers high protein, organic and non-gmo ingredients, grass-fed milk from respected cows that roam free on sustainable family farms, live and active cultures (our tummies thank us daily), no additives (stabilizers, thickeners, artificial preservatives, gross) and unique sweet and savory varieties that taste amazing. High-protein snacks are some of my favorites and this one definitely fits the bill. You can also print coupons off their site here. Nice job guys. 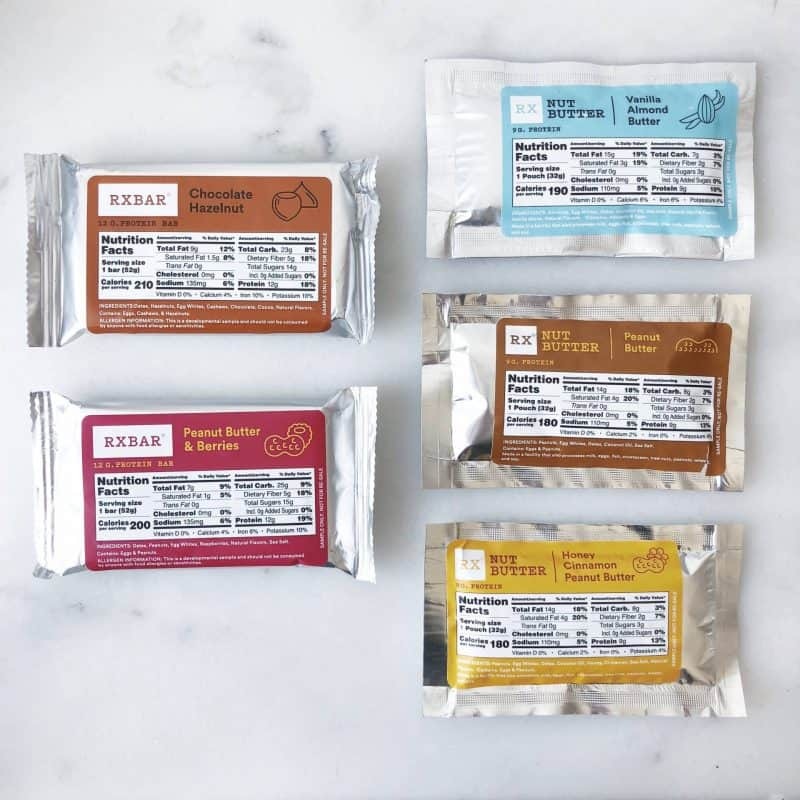 I had the opportunity to try out some of the new products from RXBAR this week and I’m excited for them to come out in May (why so loooooong??). There are new bar flavors: chocolate hazelnut, PB and berries, and pineapple mango (not pictured). They also are introducing nut butters: vanilla almond butter, peanut butter, and honey cinnamon peanut butter. The nut butters contain egg whites which is a new thing for me to see, but I assume is what gives them a higher protein value. Be on the lookout for these to pop up in the next couple months! That’s it for this week guys — check back next week for new posts! I would definitely try everything from this list. I’m very curious about these cakes in a cup. I love easy to make desserts, even though I also love making a batch of cookies. Also, that tandoori naan looks SOOO delicious. I love thick flatbreads.